Despite being an important month for me with so many birthdays, including my own, January tends to be quiet and long. It seems that we are all trying to get back that "real life" rhythm which proves incredibly hard after you've had a nice couple of days off work for the holiday season. February isn't much different even though in theory the month should feel shorter, emphasis on the "in theory". And, to make it all worse (especially for us a bloggers), days are shorter and daylight is nearly non-existent, the sun is continuously hiding behind grey clouds and we are fighting below zero temperatures in the early hours on our work commute. Lovely isn't it? #Sarcasm: just one of the many services I offer. Yes, I'm feeling blue. I think that I speak for everyone when I say that what makes all of these somewhat better is shopping, eating (more like stuffing your face; diet who? ), awards season and, lots of pretty and cute things. 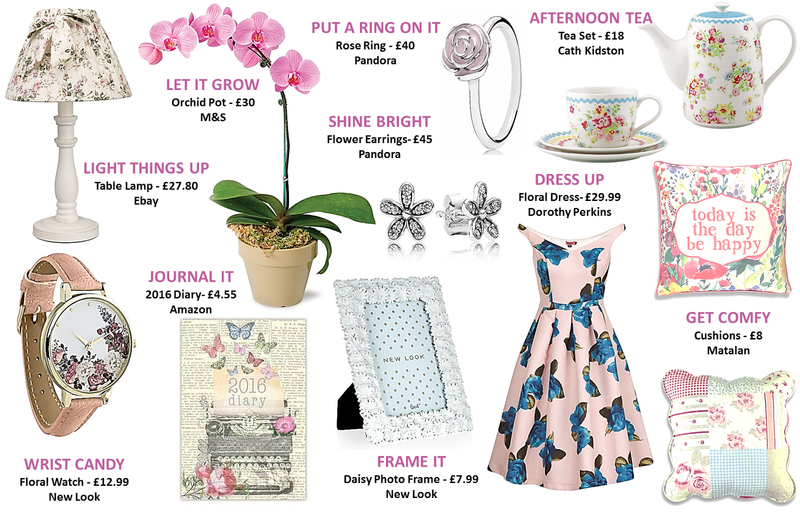 Even better, if you are anything like me, what really helps is some petal power, I'm talking flowery clothes, accessories, homeware and of course, actual flowers. Remember when I spoke about wearing Florals For Winter here, that is exactly the sort of thing I'm talking about. Not only flowers effectively cheer me up, they are perfect to brighten up the space around you and get us in that Spring mood. Say goodbye to dark days, hello to blooming lovelies. Give spring an early nod and fly in the face of those gloomy winter nights by brightening up your living room, wardrobe and pretty much anything else; be gone dark days! 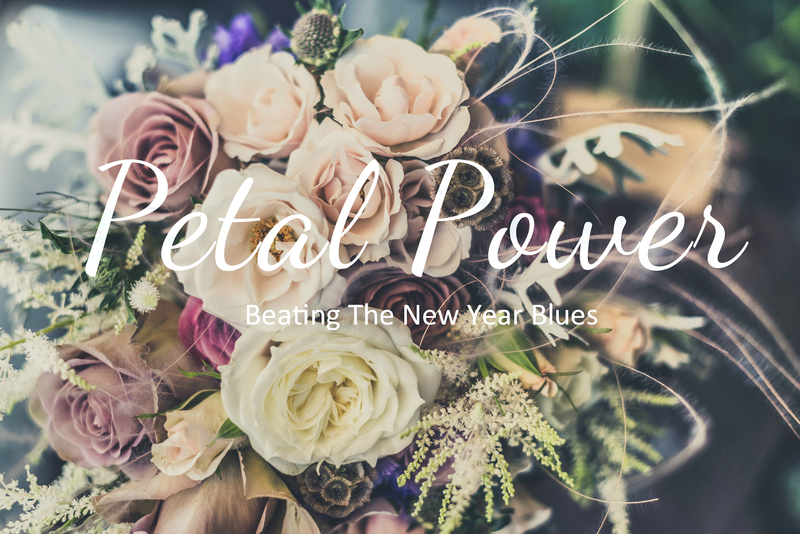 If flowers can't beat those New Year blues, I don't know what will. What do you think of florals for winter? Let me know below! I love everything you picked but the tea set is the best! It's so cute. I'm feeling blue, ill and fed up haha! Bring on spring! Che stupenda selezione, mi piacciono i fiori li trovo romantici! That dress, ahhh...it's so dreamy! I probably would look weird in it because I'm not used to wearing a dress but it's sooooo pretty that I might make an exception. Floral always brightens up my day, especially when its as wintry as today! Love the dress and the photo frame! New Look has a great little home section! Ahahaha I love your love for florals! I do see them occasionally and think of you. Personally, what does it for me is thinking about the beach, the ocean, (eating too, I mean you were right: diet who?) and weirdly, exercising. Maybe reading too because that's basically what I breath for. That watch and the ring though. They're so pretty. How had I not known about them before? I'm in love! Your posts always bring a smile to my face babe, thank you so much. great post, I love the flower design! Lovee all of these! They are so gorgeous! Oh wow such lovely floral inspirations. I love the pillow & dress. Definitely inlove with floral for winter! Thanks for commenting on Qing's Style. I hope you always keep in touch! Haha, so thiss was very accurate! Love that adorable floral tea set and the orchid - my favorite flower! Such a cute idea! You're totally right! That should help! I love florals in general, tho. The dress is the first cushion are gorgeous, Pam. Happy Sunday. I love florals :) Wearing florals is such a great idea to fight winter blues! Também me sinto assim durante este mês porque estou em época de exames e não posso fazer nada senão estudar :( É um tédio! Adorei o conjunto de chá, é muito fofo! you have got this post down to a T! January blues are awful at times, it is as though the month is far from real lol!